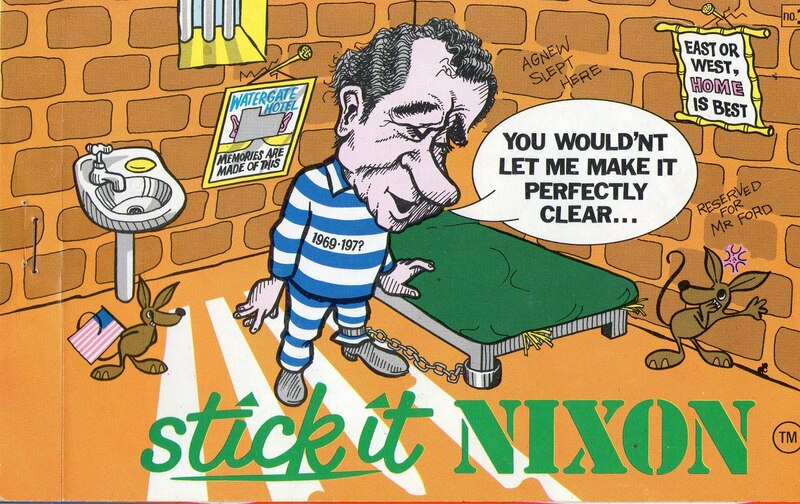 Submitted by Sian: I have a set of stickers (four sheets) entitled “stick it Nixon”. 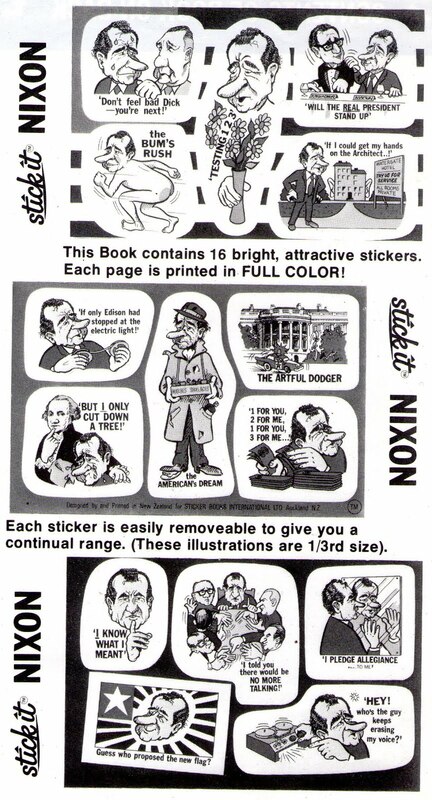 I am attaching a scan of the first page and a scan of an insert which shows all the stickers in the collection. I don’t want to scan the actual pages as it would mean breaking the booklet. They were printed in NZ for Sticker Books International Ltd and distributed by Imaginative Books International (inc) Las Vegas Nevada. I have searched the web and cannot find anything re these so I presume they are rare. I have one complete booklet in perfect condition and another with three sheets and one sticker missing. I am presuming that they relate to Watergate. can you help Sian? Please click the comment button.